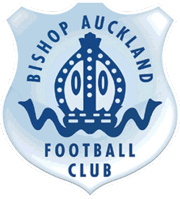 Bishop Auckland Ladies will compete in the SSE Women’s FA Cup 2nd Qualifying Round this coming Sunday 18th September 2016 and in doing so will create a place in the history book of Bishop Auckland FC. The Ladies will travel to Frenchfields Park Penrith to take on Penrith AFC Ladies and the game will kick off at 2pm. The team will travel to the game via coach which has been supplied by Hodgsons Of Barnard Castle. There is a limited amount of seats available @ £10 each should anyone wish to travel to the game. Please contact Jackie on 07799662792 to arrange.